Baking soda is a substance used in many homes as ingredient for cooking and as a product for cleansing. There is another aspect of the substance which is amazing and that is its effectiveness in curing and beautifying your skin. 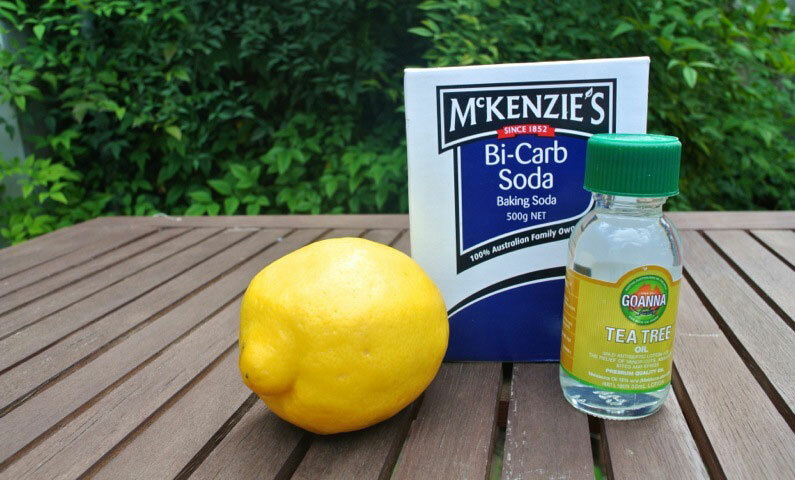 Set aside those expensive chemical products for a while and try this potent recipe for lemon and baking soda face mask and enjoy in the stunning results. Apart from soothing your skin and clearing stress and sleep deprivation marks it can be used as a treatment for acne, dark circles and blackheads too. So, write down this easily made baking soda face mask which is wallet-friendly. Combine the ingredients to make a paste, as dense as you prefer. Those with sensitive skin may add water. Blend it properly. How long should you leave it on your face? For the first time, 3 minutes will do. For the subsequent week, 10 minutes will give best results. You will find your skin exfoliating with the baking soda face mask as you wash it. The dead cells of the skin and their accumulation on the face will be removed by baking soda. Lemon does a great job in eliminating pimple scars, sun spots etc. Tea Tree Oil is a prescribed remedy if you have pimple problem. What are you waiting for? Go to the bathroom and enjoy your spa with this free skin solution.